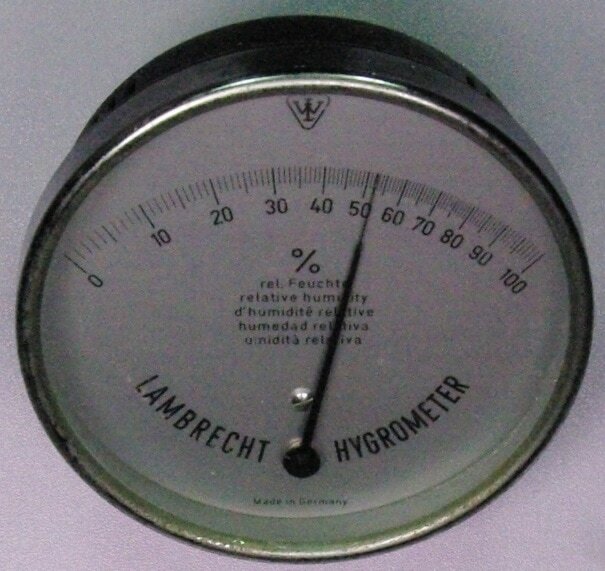 This is a Lambrecht 194 hair hygrometer. I suspect it is newer than 1990 since the dial face says 'Made in Germany'. However it is also shown in the 1977 Lambrecht catalog. The 194 was also available with a synthetic PERNIX fiber sensing element.